This go-to-guide for turning wood into heat, including starting a fire with everything from flints to forearms in any type of weather; tinders easily found in nature; identifying and gathering the best kindling and types of wood; efficient splitting and stacking configurations for different needs, such as cooking; and how to safely put out a blaze. Pre-order the hardcover version on Amazon.ca, Chapters/Indigo, or read the e-book version on Kindle or Kobo. Finding your campsite, a spectacular view, or your way home can be difficult, especially when your phone or GPS malfunctions. But knowing how to use a magnetized compass, paper map, and the positions of the sun, moon, stars, and other practical aids in pathfinding will help outdoorsman find their way in almost any kind of terrain. Navigating With or Without a Compass will teach you the basics of using that essential tool, such as the difference between true north and magnetic north based on where you are and using compass bearings from a map and in the field to determine location. 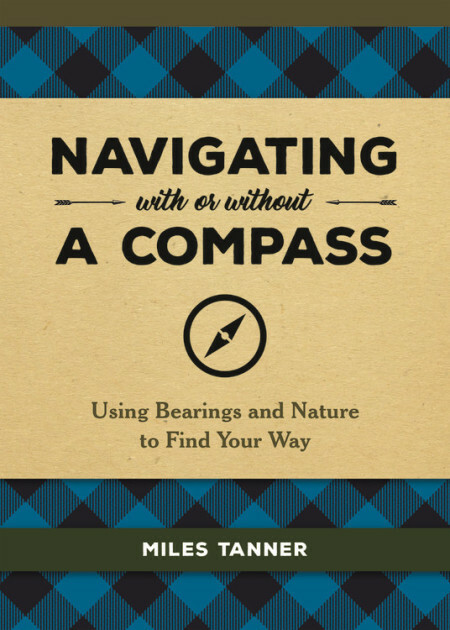 However if you find yourself without a compass, this handy guide will also give you natural signs and guideposts for pathfinding, such as the way the wind blows, trees grow, or flowers bloom. Also covered will be determining direction through reading the Sun and the shadows it forms, the position and stages of the Moon, and familiarizing oneself with the principal constellations to guide you and determine the time at night. Thanks To Our YouTube Subscribers!